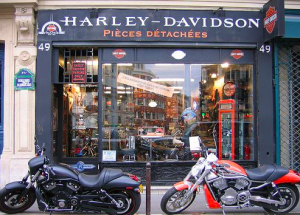 Responding to the European Union’s new import tariffs, Harley Davidson will be shifting some production from American factories to its plants in Brazil, India, and Thailand in an effort to keep it’s bikes affordable. Motorcycles aren’t the only US product suffering from the not-quite-yet-a-trade war. Orange juice, cranberry juice, peanut butter, bourbon, tobacco products, steel, jeans, and playing cards are among those that are incurring at least 25% import duties. Farm products have already been hit by trade war fears; corn and soybean futures are at a two-year low. While there’s a lot driving those prices, the short-term outlook for farmers, wholesalers, farm-equipment manufacturers and others in the ag value chain are not good. 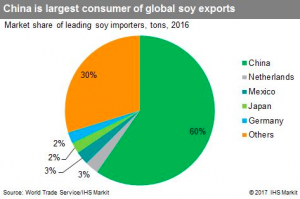 China buys over $20 billion of US agricultural products every year, and is moving to buy more from Brazil and other countries as US goods will be much more expensive with the import duties. Our neighbor has 1300 acres of soybeans and corn, so this is pretty real to us. Deere & Company could end up seeing years of depressed US agricultural sales, because it may take farming households years to recover financially. So, what does this have to do with workers’ comp? Insurers and employers are enjoying the latest in a string of really, really good years. 2017’s combined ratio was a stellar 89, the best result we’ve seen in two decades. While premiums were down marginally last year, the pre-tax operating margin hit 23 percent, a level we haven’t seen in recent memory. All this really really good news has been driven by a nine-year long recovery, a continuation in the structural decrease in claim frequency (and likely total claims), and relatively low medical inflation. The very strong labor market helps a lot; re-employing injured workers is a lot easier when there are lots of job openings and employers work really hard to get injured workers back on the job to meet demand. One would do well to remember what happens when good things come to an end. Claims jump up, possibly driven by workers scared of layoffs deciding to report that nagging pain. Employers stop hiring, afraid to be stuck with lots of idle workers when demand drops off. If the current trade conflict gets any more heated, we’re headed for a nasty trade war, one that will have deep and lasting effects on every sector from steel to transport to agriculture to tourism. Trade wars will hurt the economy and hammer workers’ comp insurers. Companies serving the claims sector may well see an uptick as claim frequency and claim duration increase. You can’t fix dumb. But you can be hurt by it.